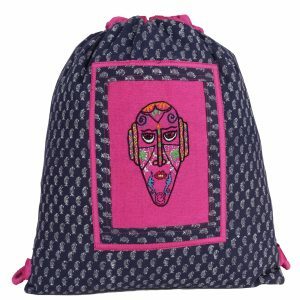 Exquisite Motifs of Block Print and exquisite baba Embroidery is made into high on Utility Drawstring Bag. 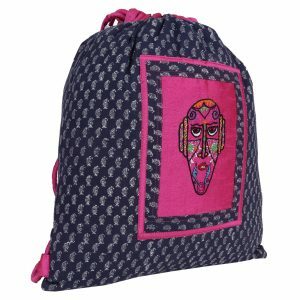 Carrying this useful Bag is not only a Fashion statement but also very useful for outdoor. 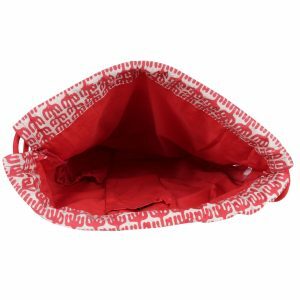 It has adequate space with inner pockets for keeping a Mobile or loose change. 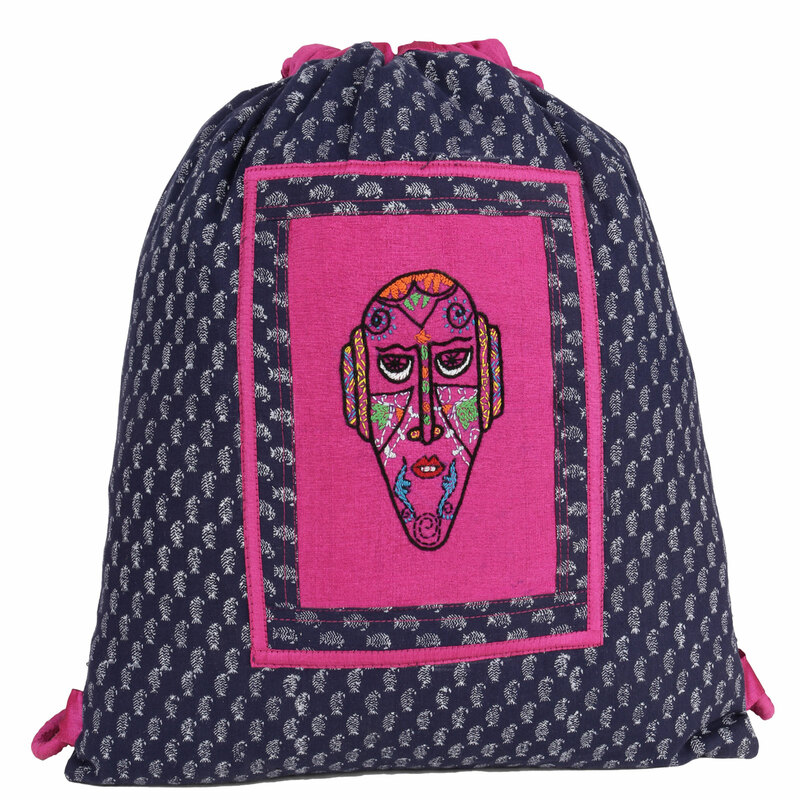 Your Choice will change the life of one Indha artisan who are part of making India into a developed nation.